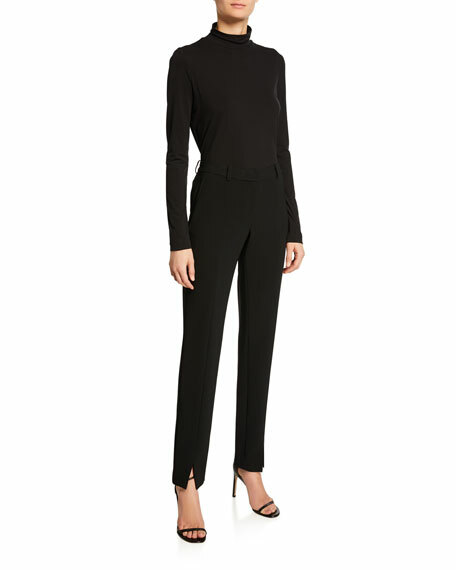 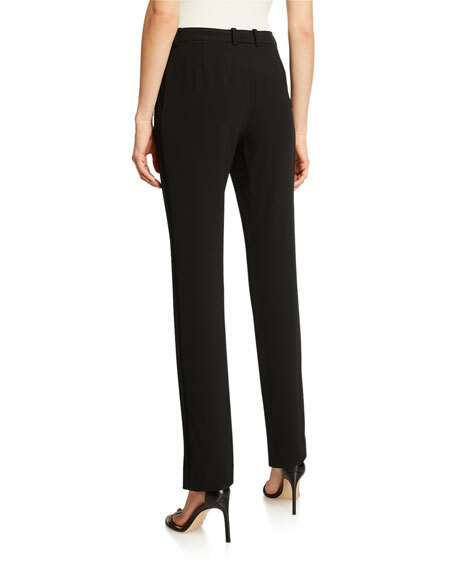 St. John Collection crepe marocain pants in Jennifer fit. 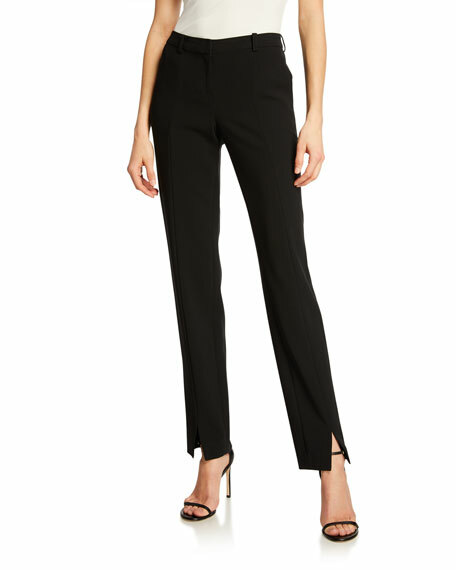 Cropped above ankle; front slits. 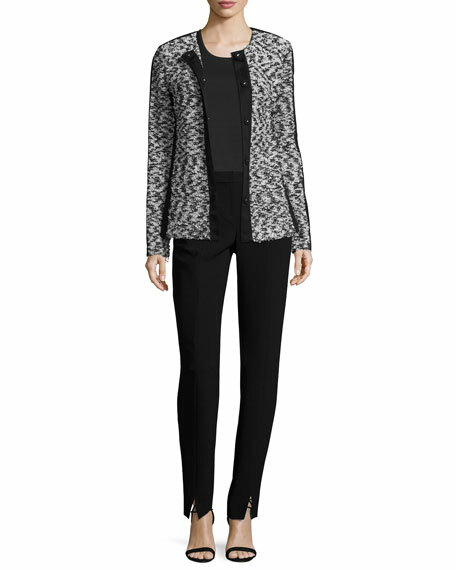 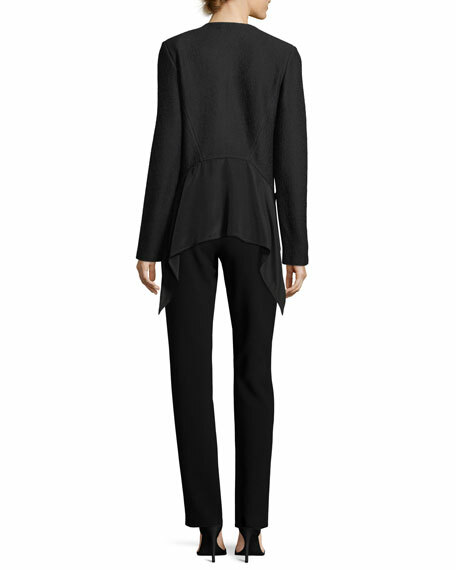 St. John Collection "Hannah" knit jacket with crepe de chine pockets and peplum.